Last month, rookie girl group CHI-CHI confidently announced, “Our goal is to be like SNSD” and stated their wish to “become Asia’s top girl group”. Despite their honesty, the girls’ statements were misunderstood as pretentious. The CHI-CHI members added, “SNSD are our role models and we would like to show our respect for them. They are a top idol group not only in Korea, but also in Asia. They are role models to us who are lacking in many areas. SNSD, who are not only the best in Korea but also in Asia, are our idols. We want to be like that too”. A few years ago, SNSD expressed how much they looked up to veteran groups, but now it seems like our girls are returning the favor by serving as examples for new groups. You guys remember those recent SPAO promo pics? Apparently, some fans were disappointed with the Super Generation pairings. And I completely understand. As cute as Sunny-Kyuhyun were, for instance, they weren’t as good as Yoonyul. Sones got on that pretty quickly with their photoshop skillllzzz. Of course I totally rikes. Sorry boys, but Yoonyul is as real as it gets. Jump under the cut to see how these two pictures got Yoonyulified! I’m just going to start off by saying that Taeyeon has always been my bias, so I hope you guys all understand if this article gets pretty personal. 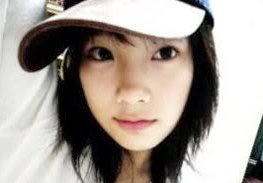 I still find it hard to believe that when Taeyeon was my age, she already had years of training under her belt in addition to a big-screen debut as the leader of Korea’s arguably most popular girl group. Damn girl. All I did was drag myself to school everyday. 4 years later, she’s taken the title of world star to a whole new level with a slew of CFs, tv shows, international albums, musical, etc etc. On February 21st, SBS-CNBC News broadcasted an interview with Intel Korea’s Han In Soo, discussing SNSD as the new faces of Intel Asia. Going past the label as ‘just another girl group’, the girls have moved on to become Hallyu stars, representing one of Korea’s most important and exportable facet- KPop. With their relatively new status as an international group, SNSD have become the target models for big name corporations. This time, Intel Asia won the coveted business deal, and here’s their interview to show the effects of working with the girls! EDIT: To clarify- This is where these pictures come from. At the time of posting, new pictures have not been released yet. You can check out the new ones here and here. According to representatives from Christian Dior, SNSD already completed their shooting session for the brand, so check back soon for the pics! ADDED: Preview of the episode below – mikechi. The members became shocked when one of the girls confidently asserted: “I know I am really the prettiest girl in the world”. Whoever this member is, I’m sure it’s all in good humor. Unless it’s Jessica living up to her Ice Princess name. Then it’s serious. Or if it’s Sooyoung, who won 1st place in a self-assessed beauty ranking on Win Win. Or Hyoyeon aka Princess Fiona. Or Seohyun who reportedly stares at herself in the mirror all the time. Or it could be Yoona, who feels she ranks in the top 3 in terms of looks. Maybe Taeyeon or Tiffany, both whom Yoona thought were the other 2. Or Yuri, who said on Star King that she’s the most popular/hottest member. Or it could just be Sunny, since she is the Queen of SNSD- queen of aegyo. That’s just me being helpful. Any guesses? Comment it up below! And don’t forget to check SNSD to find out who this mystery member is! On February 9th, Mnet’s “Trend Report Feel” discussed the fashion choices of various Kcelebs. From IU’s innocent style to Hong SooA’s glamorous look, stars were seen flaunting individual fashion senses. And passing Jo Yeojung and Ha Jiwon among others to nab the ‘Best Fashionista’ title was our very own Tiffany! Back at the 20th High1 Seoul Music Awards Ceremony, Tiffany wowed the crowd with an unexpected “Rockchic Style”. Wearing a blue mini dress, accessories, black rider jacket, and finishing off the look with bright red lipstick, Tiffany showed a bolder side. Like, is this the same girl who used to dance around with a lollipop? mygodlol Shedding a cutesy image for a new fiercer outfit, she slightly resembled pop diva Lee Hyori, who is famous for pulling off bright lipstick. To be honest, I didn’t feel this Rockchic look at first, but I’m glad Tiffany is experimenting with different styles and showing her maturing fashion sense. Agree/disagree? Share you thoughts down below! In September of 2010, the professionals at SnsdKorean released the first results of an ongoing study, titled The Science of Kkab, which detailed Kim Hyoyeon’s behavioral glitches. After decades of grueling fieldwork, the SnsdKorean Team is back and is proud to disclose the results of the latest Soshi study just in time for Sooyoung’s 21st birthday!!!!!!!! 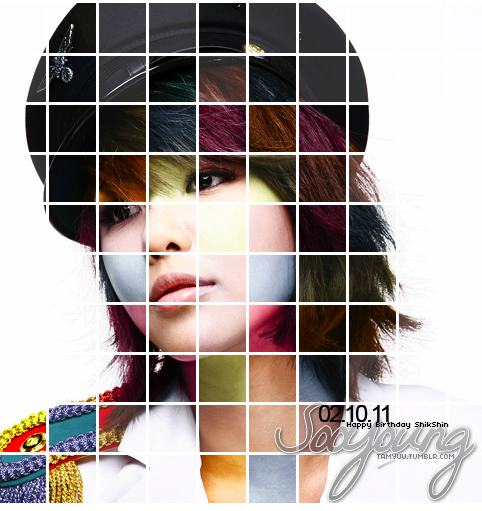 The study discusses Sooyoung from a scientific viewpoint, complete with a hefty measure of serius bidnezz. SNSD= Best Idol Group in the past 5 decades? Lucky for the famous director, SM did release a Japanese version of the hit single. 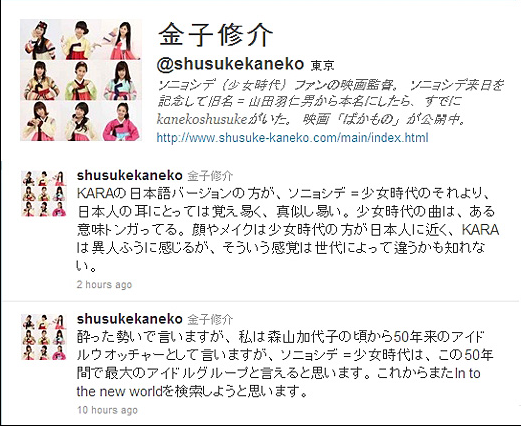 Even before then, Kaneko had been using as his Twitter avatar a picture of the girls in Hanboks (now it’s a picture of the girls during “Honey” promos), and described himself as a “SNSD fan, Film Director”, clearly showing his love for Soshi.